I used to think of myself as unique in a not-so-good way. I thought of myself as different from everyone else because of not being physically related to anyone. Of course, there were people out there who shared my DNA, I just didn’t know any of them. I saw myself as an anomaly that probably no one could understand. Over many years of searching, reuniting, and processing the aftermath, I’ve done a lot of research on adoption. Of course, I didn’t think of it as research at the time. I only wanted to satisfy my curiosity, find answers to my many questions. Along the way, I learned that I wasn’t unique the way I’d previously thought. I wasn’t alone in my condition. Actually, the exact opposite was true–I discovered I was of the Baby Scoop Era, a period of nearly thirty years when 4,000,000 or so babies were relinquished to adoption. I also found out that for no other reason than the year in which I was adopted, I was not entitled to see my own original birth certificate in Ohio. Current law says that we who were adopted between 1964 and 1996 cannot see our birth records, but those adopted outside of this period can. Of course, I wanted to know why this was the case, so I searched some more and found that adoptee birth certificates were sealed in 1964. Before then, they had been accessible. And in 1996, they were opened again, but not retroactively. A man named Brad Norris, an attorney from my hometown of Cleveland, had drafted the bill that eventually sealed my original birth certificate. Ironically, Brad was the father of Betsie Norris, who founded Adoption Network Cleveland, the organization that helped me find my own birth mother. No, I was not unique. Betsie herself was adopted as an infant and went through a similar search to find her birth parents. She looked for the answers to her questions, and decided her calling was to advocate for adoptees and adoption reform. 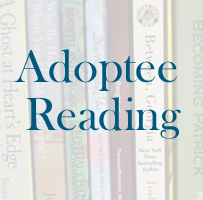 Last spring, I chose the story of Betsie Norris, her adoptive father, Brad, and their relationship to Ohio’s law concerning adoptee birth certificates as the topic of a biography project for one of my graduate writing classes. A short version of that piece can be read on Lost Daughters. Talking with Betsie about her story has had a profound impact on my life: I see myself now not merely as one unique individual adoptee, but as a member of an entire community of people who must somehow navigate between two families, and sometimes even between two cultures or two countries. 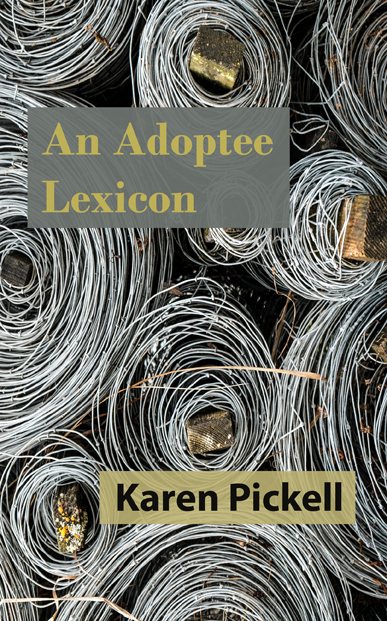 When I write about adoption now, I no longer write only for myself, but for the many others like me as well. My identity as an adoptee is not all of me, but at the same time, it is a part of everything I do. Now Betsie is leading the fight to open records for those of us from Ohio who were adopted between 1964 and 1996. I’m doing what I can to support the passage of House Bill 61 and Senate Bill 23, although it never feels like enough. It’s hard to be out of state at a time like this when I’d like to do more. I am indebted to Betsie and all the others like her who have given so much of their time and energy to fight for my rights.